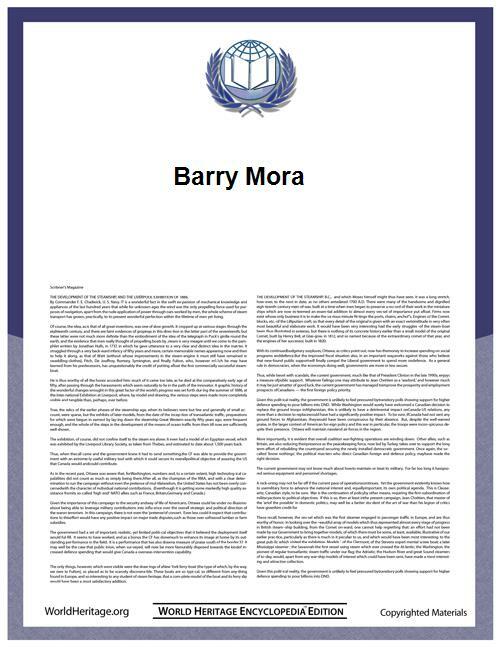 Barry Mora is a New Zealand classical baritone who had an active international career in concerts and operas from the mid-1970s through the 1990s. Retired from the stage, he is currently a member of the board at The NBR New Zealand Opera. Mora studied singing in London with Otakar Kraus and John Matthews. He began his career as a member of the Gelsenkirchen Opera House from 1976 until 1980, making his professional debut as Anckarström in Giuseppe Verdi's Un ballo in maschera. In 1980 he joined the Frankurt Opera House where he had a highly successful career for the next nine years. He thereafter worked as a freelance artist internationally. Mora has performed as a guest artist with De Nederlandse Opera, the Edinburgh Festival, La Monnaie, the Royal Opera, London, the Scottish Opera, Theater Aachen, the Vancouver Opera, and the Welsh National Opera among others.